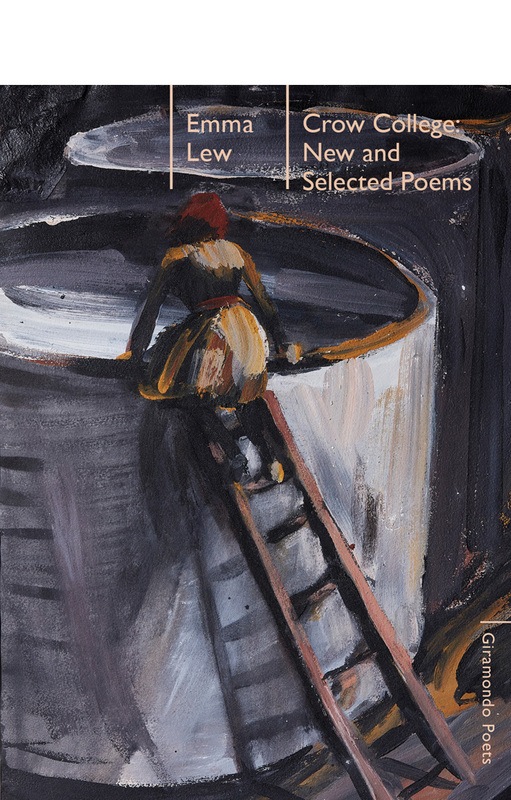 Join Emma Lew for the launch of her poetry collection, Crow College: New and Selected Poems. Special guests Bella Li, Gig Ryan and Ann Vickery will launch the collection with readings of selected poems. Copies of Crow College: New and Selected Poems will be available for sale at the event, along with book signings by the author. The dark aura of Emma Lew’s poetry has made her a compelling and mysterious presence for successive generations of Australian poets. Lew is highly regarded for the dramatic intensity of her poetry, which combines sudden shifts of voice and perspective with a heightened awareness of the moment. Her mastery of the ominous setting and the resonant line, and her command of poetic form – particularly the interior monologue, the pantoum and the villanelle – draw on a deep correspondence between the figure of the defiant narrator, volatile, dangerous, ironic, and the destructive forces of history. This selection brings together poems from her previous collections The Wild Reply, Anything the Landlord Touches and Luminous Alias, as well as twenty-four new poems not previously collected in book form. Crow College is introduced by award-winning poet Bella Li. Bella Li is the author of Argosy (Vagabond Press, 2017), which was commended in the 2017 Wesley Michel Wright Prize, highly commended in the 2017 Anne Elder Award, and won the 2018 Victorian Premier’s Literary Award for Poetry and the 2018 Kenneth Slessor Prize. Her work has been published in a range of journals and anthologies, including Best Australian Poems and The Kenyon Review, and displayed at the George Paton Gallery and in the Triennial of the National Gallery of Victoria. Gig Ryan’s seventh book, New and Selected Poems (Giramondo, 2011), was winner of the 2012 Grace Leven Prize for Poetry and the 2012 Kenneth Slessor Prize for Poetry. She has also written songs with Disband (‘Six Goodbyes’, 1988) and Driving Past (‘Real Estate’, 1999; ‘Travel’, 2006). She was Poetry Editor of The Age from 1998 – 2016. Ann Vickery is Deputy Course Director of the BA and a Senior Lecturer in Writing and Literature Deakin University. She is the author of Leaving Lines of Gender: A Feminist Genealogy of Language Writing and Stressing the Modern: Cultural Politics in Australian Women’s Poetry. She is also co-author of The Intimate Archive: Journeys through Private Papers and co-editor of Manifesting Australian Literary Feminisms: Nexus and Faultlines. She has published poetry in a range of national and international journals.